We are delighted to present the details for Quantock Hideaway ideal for a cottage holiday in Aley Over Stowey, Somerset. To book or find out more please use the Booking Info or Availability buttons below. Many people prefer to book a detached property for their holiday. Quantock Hideaway is detached which makes it ideal for extra peace and quiet. If you are looking for a cottage that has a high level of luxury and finished to exacting standards then Quantock Hideaway could be the perfect choice. As you can see below the property has a number of luxury facilities that will make your stay very comfortable indeed. It's hard to imagine what could be more relaxing than spending a quiet evening at Quantock Hideaway soaking in a luxurious hot tub and letting all your stresses soak away. So why settle for just any old cottage in Somerset when you can have one with a hot tub. Why not add a little romance to your holiday in Somerset?. The property is equipped with a four poster bed giving an additional cottage feel and charm. On nice days, when you want to relax you can sit out in Quantock Hideaway's garden and enjoy the sun shine. Children also love the outdoors so it can be a great place for them. Although, with young children you should always check any garden is safe for them. There is one or more televisions at Quantock Hideaway. Ideal if you want to catch up with the latest on your favourite programmes or just fancy a quiet night in relaxing in front of the box. Great news if you just want to get away for a long weekend or short break. Quantock Hideaway accepts bookings for short breaks. So if you fancy a few days in Somerset to recharge your batteries then this cottage is well worth consideration. Why not treat yourself and a loved one to a romantic break at Quantock Hideaway? Whether you are celebrating a wedding, an anniversary or just want to say I love you - a romantic break in Somerset is a lovely choice. As you can see Quantock Hideaway is located in a great location. The perfect base for any holiday around Aley Over Stowey. And well suited to explore the whole of Somerset. There are plenty of great places to vist near Quantock Hideaway. Take a look at out holiday ideas pages for details of many places that are well worth considering visiting whilst on holiday at Quantock Hideaway.
" Yes, brilliant cottage and a brilliant holiday!! The hot tub was amazing!! " " Yes it was secluded and a great chillax for two! " " We recently stayed here in beginning of July, the place is fantastic, lovely, peaceful place just as described. We would definitely re-visit. A first class property and the owners very helpful and friendly. We had the most amazing holiday as we were renewing our wedding vows. This place has left us both with many fond memories, thanks Janet and Andrew. " " A fantastic getaway for any couple. Location stunning, setting gorgeous and hot tub wonderful. We'll certainly be looking to go back. " " I would recommend Quantock Hideaway - a very peaceful location, with just the birdsong for company! The cottage was well equipped and very clean, and the hot tub in the garden was extremely welcoming after a long day walking in the hills! " " The cottage we stayed at was excellent, it was of very high standard very well looked after, clean tidy & cosy very homely. We would recommend to any one wanting a relaxing holiday to recharge your batteries. " " Great accommodation, very welcoming. Area is pleasant and quiet - yet shops and pubs in walking distance. Hot tub is fantastic! " " Beautiful cottage in a great location. I would recommend to others and would definitley book through your company in the future. " " Nice accommodation in a lovely setting and a friendly helpful host - even milk, tea and biscuits were provided to get us started. Handy for the shops of Bridgwater, yet close to the Quantocks, Exmoor and the beaches of Kilve and Quantoxhead. Recommended. " " Because it included everything we wanted, it was the perfect 'couples retreat' although next to the owners, it was set in it's own garden and we were completely left alone all weekend. It was decorated to a very high standard and we had the feeling of being secluded. The setting was very romantic to. Not to mention the beautiful scenery in every direction. All in all a perfect holiday. " " The location is brilliant. Excellent value for money! Hot tub is fab. " " Very nice cottage, great location and all you need for your stay. " 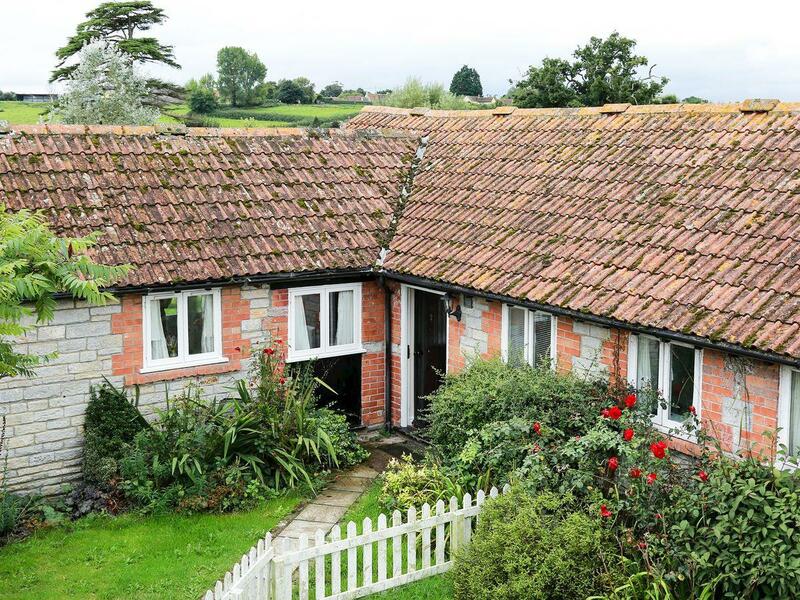 " We spent a lovely 3 nights at the Quantock Hideaway. It was so relaxing and our hosts were so helpful - we were only sorry we had to leave as soon as we did. " " The photos don't do this holiday home justice - perfect from start to finish! " " The Quantock hideaway lived up to its name, there was so much to do nearby that 5 days wasn't enough. " " Good location, great accommodation. " " A lovely cottage, we thoroughly enjoyed our stay. " " Yes definitely. It was a lovely cottage in a great location accessible to many local attractions. " " The cottage was lovely. The owners were there when you needed them and very welcoming people that left you to your own devices. The furniture and decor was all to a high standard. Around the cotage was beautiful views with lots of things to see just a short distance away. It seemed to be far away from everything but was only a short drive from civilisation which meant it was lovely and peaceful. " " Beautiful property and location, very private and quiet. Lovely! " " It is a great a cottage with fantastic owners who are very helpful. You must go there, but to make life easy you need a car to enjoy it, but other then that its a beautiful place. Honestly the cottage is amazing and the owners have done a great job! " Set on the owner’s equestrian smallholding, where you can visit the Haynes Motor Museum and explore south and central Somerset.